You have put a lot of work into setting up your art business and creating artwork now is the time to protect that investment by making sure you have insurance to cover your paintings and/or sculpture. Insuring your business and work isn't cheap, but compared to starting again if you lost everything, it's a small price to pay. 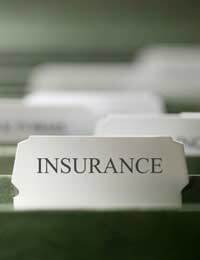 You will possibly need several types of insurance for your business in order to cover the premises, stock, transportation of work and exhibition insurance. The most important insurance for your artwork is the transportation and exhibition insurance. These are the areas that leave you open to loss. It is vital that you arrange adequate cover for all your work when it is out of your hands. Unfortunately items do go missing, and while you can't replace all the time and effort you put into a piece you make sure you are financially covered for such losses. You can arrange for independent insurance to cover the cost of moving your work between exhibitions and events, but most specialist art removal companies do offer compensation for losses when you book them. Always ask about the amount you are covered for as you may need to arrange for extra cover if the standard policy they offer doesn't cover your costs. Remember to check the small print in any insurance document as you need to make sure that most eventualities are covered. Some standard removal policies include exclusion clauses that could leave you in trouble. If you choose to transport your own work in your car, check your policy carefully. Unless you stated at the time of purchasing your policy that your car would be used for business purposes, you may find that should you transport your work yourself and it gets lost or damaged that the insurance company won't pay up. Many artists transport their own work without checking to see if they are covered to do so. This type of insurance is vital. You need to make sure your work is covered against damage, loss and theft while at an exhibition or any other type of venue where you are displaying your work. Along with displaying your work at markets and fetes comes a more vital type of insurance, public liability insurance. Never leave home without it! If you take your work to a market and it falls off the stall and hurts somebody, they can sue you for a lot of money. Public liability insurance prevents this from affecting you personally, whereas if you don't have insurance cover against injury to other people you would be personally liable and lose everything, including you home to compensate them for their injury. These types of policy are not cheap, but compared to a million pound injury claim they are cheap. Not insuring adequately may seem like a good way to save money, but when things go wrong it can prove to be more expensive not to have insured you art work and your business properly. Thanks for this feature. I have always insured my finished art for at the studio and when I'm travelling, but would never have though to insure my equipment. I have amassed quite a lot of this over the years so I guess it wld cost a fortune to replace.